One of the feel good stories from E3 2015 was the emergence of Shenmue III on Kickstarter. The long overdue sequel has raised over $3,5 million after a single week, already ranking it as the fifth largest game of all time with 25 days still remaining and shattering the record for speed it took to get funded. However, that is chump change compared to Director Yu Suzuki's ultimate goal. Suzuki took questions in a Reddit AMA stating where he would like to see the campaign wrapped up. "I will say this: if we reach the $5 million mark, one of the things I really want to do with Shenmue 3 will become a reality." "At $10 million, it will truly have the features of an open world." And by that I assume he means waypoints, missions, and a whole lot of looking at the mini-map. Nah, I don't think Suzuki will let Shemue III fall into those modern day traps. 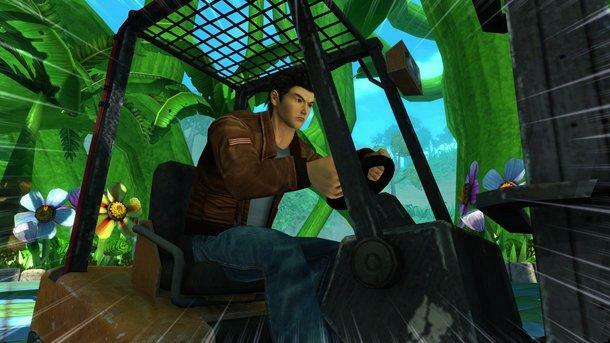 Instead, he will sink it all into forklifts, a symbol of the Shenmue franchise, stating that fans should "look for it in the stretch goals."